Dampen the rim of a champagne flute with a simple syrup. Dip the rim of the glass into the edible glitter. I find sprinkling the glitter in a shallow bowl, equal-sized or larger than the mouth of the glass, is easiest. 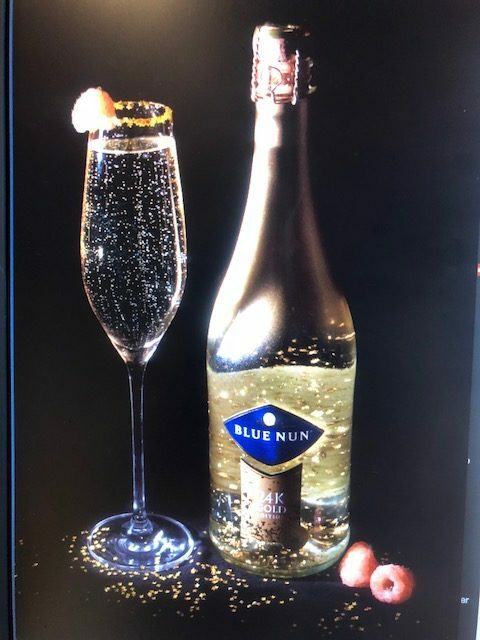 Pour cold Blue Nun into the champagne flute. Top with ½ oz of Ginger Liqueur, and garnish with the white raspberry.